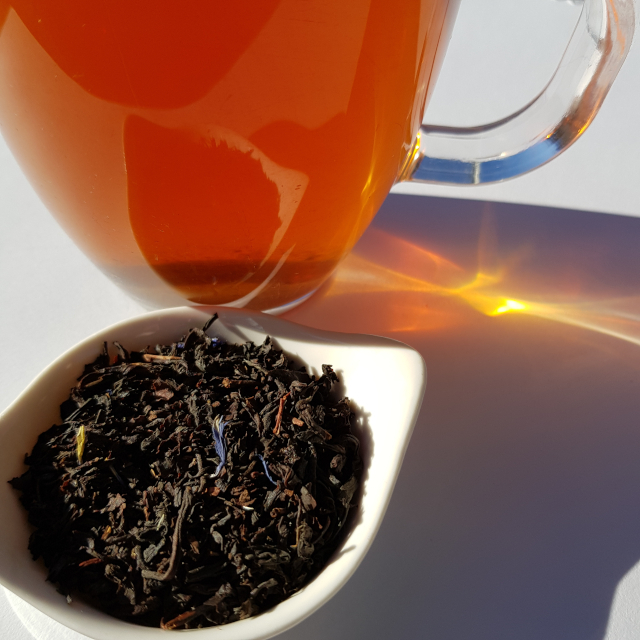 Loose-leaf Links is a feature where I gather together the interesting bits and pieces on sci-fi, fantasy and romance I’ve come across and share them with you over tea. Today’s tea is Sir Earl from Tea Garden Co. It’s a delightful Earl Grey blend which is not too harsh with its bergamot. One of the better blends I’ve tried. The Skiffy and Fanty Show now have a YouTube channel! You can see me alongside my S&F colleagues in our introduction video. File 770 continue to cover the fallout from Crystal Huff’s report of her harassment and the subsequent lacklustre response from Arisia. After stepping down as the President of Arisia, Noel Rosenberg has been banned from the con… although for how long is unclear. The original statement says the ban is permanent, while the statement from the 2019 Chairperson only mentions the 2019 con. There have been four resignations from the eboard of Arisia and apologies from two former officers. The winners of the 2018 World Fantasy Awards have been announced. The results of the 2018 BookNest Fantasy Awards have also been released. Game of the Year 2018 winner: Barenpark by Phil Walker-Harding. Best Visuals 2018 winner: Crystal Clans illustrated by Martin Abel. Best Gameplay 2018 winner: Lisboa published by Eagle-Gryphon Games. There’s a video available of the full presentation. The final round of the 2018 Goodreads Choice Awards opens on 13 November and voting closes 26 November, with winners to be announced on 4 December. Amazon have released their list of the best science fiction and fantasy of 2018 (despite the year not yet being over). The 2018 Aurealis Awards will be presented in Melbourne on Saturday, 4 May 2019. Applications are open for Writing NSW’s Speculative Fiction Festival 2019. Taking place on 29 June 2019, the festival will be run by Keith Stevenson, the force behind coeur de lion publishing. The festival is currently looking for speakers and panel ideas. Applications close 9 December. World Fantasy Con have announced their 2020 Guests of Honour. Founder and publisher Marc Gascoigne will be leaving Angry Robot Books at the end of the year. The search is currently on for a commissioning editor. The Book Smugglers have announced they are closing their publishing arm. I’ve been a big fan of their work, so I’m sad to see the change. Vicky Who Reads offers a teenage perspective on the ways in which the current YA market alienates teenagers. Galli Books is currently taking submissions for Rosalind’s Siblings, an anthology of speculative fiction about scientists of marginalised genders. Submissions close 1 December. Shifters United are looking for writers with novellas that fit into the categories of paranormal romance or shifter mix-ups. Deadlines are 15 November and 15 January respectively. World Weaver Press will be taking submissions for Gardens and Glass: Solarpunk Winters from 1 January. Stories up to 8K. Kat Clay shares some tips on how to get a literary agent. Over at the SFWA blog, John Walters writes about how to grapple with discouragement in a writing career. And if you’re looking for inspiration, try this guest post at The Fantasy Inn from Jeannette Ng on 5 things that medieval bestiary writers almost got right. Next year Erin Morgenstern will have a new book coming called The Starless Sea. It is apparently unrelated to perennial BookTube favourite The Night Circus (but I suspect I need to bump that book higher up my Mt TBR anyway). Speaking of BookTube, Sam from Thoughts on Tomes is running Round 7 of the Tome Topple reading challenge, aimed at books of 500 pages or more. It will run 16-29 November. Ooh, I’m interested to see what Erin Morgenstern writes next! I don’t think I loved The Night Circus quite as much as everyone else did, but it was wonderfully atmospheric. Meanwhile I’m crushed about the Book Smugglers. I know they’re making the best decision for them, but I’m heartbroken not to have more books coming from them. They were such a force for good in the world of SF publishing. The Book Smugglers sure did come out with some amazing stories and I’m really going to miss that aspect. However, as someone prone to burnout and biting off more than I can chew, I really appreciate the example they’re setting in pulling back to what’s manageable for them.